In a bid to keep Washington’s ongoing denuclearization talks with North Korea from faltering, U.S. Defense Secretary Jim Mattis said Wednesday that a major joint military exercise with South Korea would be scaled back. Asked if it was the Foal Eagle exercise, a large-scale drill typically held in the spring, Mattis confirmed this was the case. “Foal Eagle is being reorganized a bit to keep it at a level that will not be harmful to diplomacy,” he said. Mattis did not provide details on what a scaled back version of the exercise would look like. “The United States and the Republic of Korea (ROK) conduct regular, routine training and exercises to enhance our ability to defend the ROK and maintain our combined military readiness,” Pentagon spokesman Lt. Col. Christopher Logan told The Japan Times on Thursday, adding that Mattis and South Korean Defense Minister Jeong Kyeong-doo had earlier agreed that military activities, including exercises, should be “conducted in a manner that complements diplomatic efforts to achieve North Korea’s denuclearization while sustaining the readiness” of the two countries’ military forces. “The secretary and minister agreed to continue the close review of all large-scale combined military exercises, and to make coordinated decisions based on the advice of our military commanders,” Logan said. “We continue to look at multiple aspects of future exercises to include their size and scope.”. The U.S. and South Korea have canceled their last four scheduled large-scale joint exercises on the Korean Peninsula as part of an attempt to give diplomats more breathing room in the negotiations with Pyongyang. North Korea has long viewed the exercises with skepticism, blasting them as a rehearsal for invasion. The U.S. and South Korea say are defensive in nature. On Thursday, North Korean’s state-run media criticized Seoul for continuing its own military exercises after a spate of meetings and agreements between the two countries’ leaders. “The South Korean military claims that the war drills ‘have nothing to do with inter-Korean agreements’ and ‘are of defensive nature,'” the official Korean Central News Agency said. “Its claim is nothing but a pretext to cover up its sinister intention for confrontation. “Dialogue and military confrontation, peace and war drills can never go hand in hand,” it added. 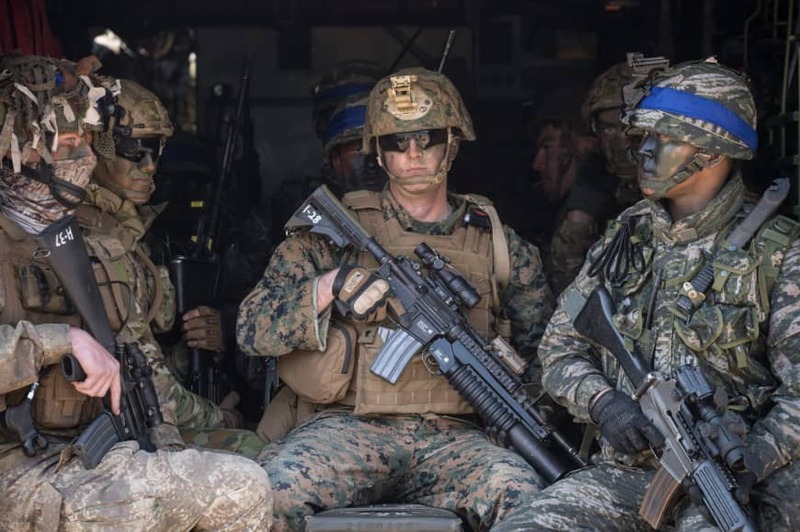 The Foal Eagle exercise has in recent years included about 11,500 U.S. troops and 290,000 South Korean troops, and has consisted of field drills involving ground, air, naval and special operations forces. 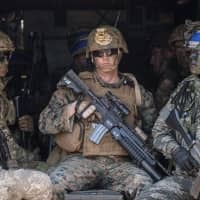 It has also typically been held together with a computer-simulated exercise known as Key Resolve, which last year included about 12,200 Americans and 10,000 South Korean personnel. U.S. President Donald Trump, just after his landmark June summit with North Korean leader Kim Jong Un, unexpectedly announced that he would order a halt to large-scale exercises — a move that caught even the Pentagon by surprise. Mattis has worked to reassure Pentagon staff and U.S. officials concerned about the degradation of the combat readiness of the 28,500 U.S. service members in South Korea if the exercises continue to be canceled. It is unclear if any move to downgrade the exercises will help kick-start nuclear negotiations with North Korea. U.S. Secretary of State Mike Pompeo has held out hope of a second Kim-Trump meeting early next year. Pompeo had been scheduled to meet with Kim Yong Chol, Kim’s right-hand man, in New York earlier this month to begin laying the groundwork for the second summit, but that meeting was abruptly postponed a day before it was supposed to take place.